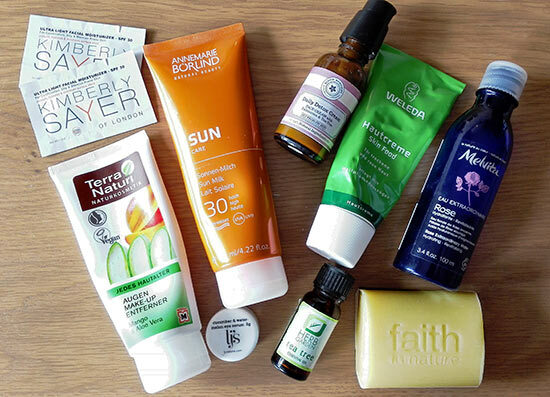 I would never think that Slovenia would be a place where I would stock up on natural beauty products, but this is exactly what happened during a 2-week stay in my home country. Years back, this kind of products were quite expensive and I knew I could get a better deal in England. Also, the choice was very limited, well at least in the region I come from. Now, things changed and with Euro exchange rate working in my favour, Lavera’s products were all of a sudden a bargain (the prices are also cheaper because of the two countries being closer together). 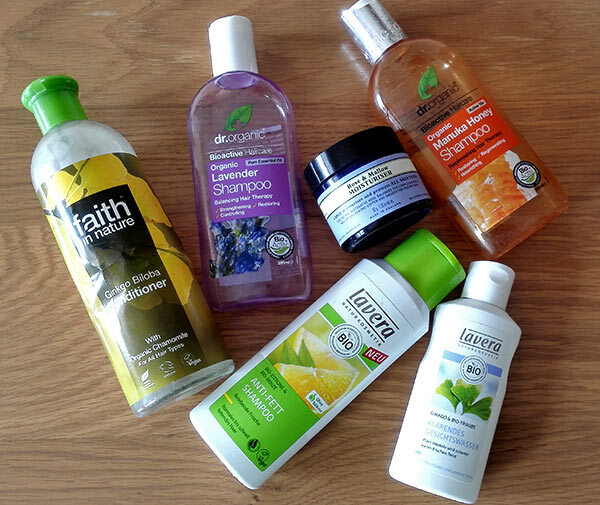 With Lavera being one of my favourite beauty brands I decided to stock up on products I am already using and buy some new ones to try them out. Purifying Facial Toner With Ginko Tree Leaf extract and Organic Grapes: I am currently using this toner which I am running out of and needed to buy a new one. I really love the smell and it works very well for my combination skin. At the moment this is my favourite toner. Lime Sensation Deodorant Roll-On: I currently use Lavera’s Orange Feeling deodorant roll-on, but I wanted to try the lime one. At the moment Lavera’s deodorants are my favourite deodorants and the lime one has really amazing scent. Basis Sensitiv Propolis and Echinacea Toothpaste : I haven’t tried any of Lavera’s toothpastes yet, so I wanted to give this a try. Lavera Clarifying Peeling 50ml : Just thought to try this exfoliator! Lavera Hair Balance Shampoo : I haven’t tried this one before and I thought it would be good to try it on my hair which just seem to produce too much sebum too quickly! * Lavera’s products look so expensive in England, I probably bought them half the price of what they are sold for in England. While in Slovenia, I was running out of my Organic Eye Make Up Remover from Neal’s Yard so I tried to find a decent replacement. I was shown all kind of eye make up removers, some more natural than others, but they were all quite expensive. At the end I went for a Croatian brand Nikel which had less ingredients than any other eye make up remover, but also it was one of the cheapest, costing just below 10 euros. It basically contains flower water with some oil and I look forward to trying this out and reporting back to you on how it performed. When I met with an old friend of mine which I haven’t seen for years I was pleasantly surprised when she turned up with the gift bag full of goodies! She also got me Ashwagandha powder which I’ver never heard of before but I look forward to trying it out. I am really happy with all these gifts – I have an amazing friend! In the coming months I will be using all the products mentioned here and will write reviews on how they performed, so stay tuned! 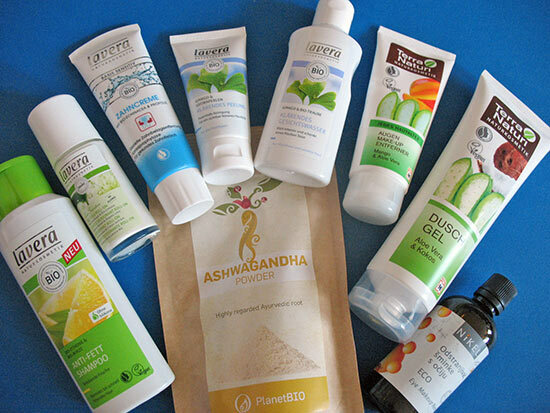 Have you ever brought any natural beauty products from abroad and what brand that was? What do you think, how do the prices in England compare with the prices abroad?